TIRED OF ELBOW SLEEVES THAT SLIP DOWN, ARE INEFFECTIVE & UNCOMFORTABLE? 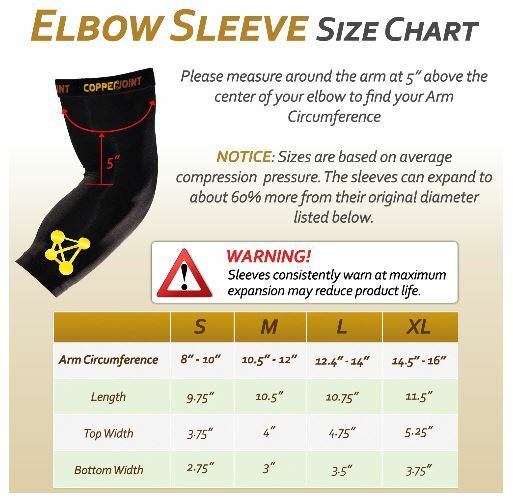 Copper Joint™ Copper Elbow Sleeve not only offers great support and pain relief, it's also super-comfortable [with its proprietary non-slip solution] and breathable [advanced fabric design], so you are supported with comfort; not like other elbow compression sleeves that get hot & sweaty. But there's more! The copper in our Copper Elbow Sleeve also give antimicrobial protection to fight against odor and skin irritations that can infect your skin. Durable, light weight and comfortable, gives you just the right level of support, keeps your sore elbow secure and warm so YOU can feel better and more secure, gives you added comfort, takes the pain away and helps you move around easily. Has a cooling effect, doesn't cause skin rush, easy to put on, fits well, feels great all day without any sweating. It doesn't roll, slide or slip down. The elastic is very strong and it reshapes perfectly after each removal. It has a healing capability for your body (perfect after surgery). Wear it for a week and you will notice a remarkable difference, the pain will decrease, your elbow will feel better and it will help you playing sports. You will be able to get back to your pre-injury workout; your nerve block will heal faster, you will gain full flexibility and jump with no pain. 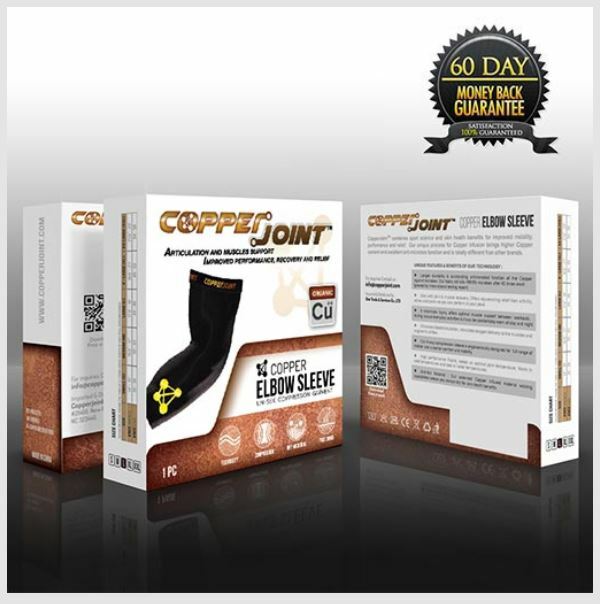 Doctors have yet to hear a bad report on our Copper Elbow Sleeve. Ask yours! All you will say after trying it is "Wow, this really does work!"